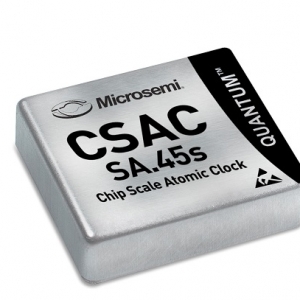 The Microsemi SA.45s CSAC is the world’s first commercially available Chip Scale Atomic Clock, providing the accuracy and stability of atomic clock technology while achieving true breakthroughs in reduced size, weight and power consumption. solution installed between existing GPS antennas and GPS systems. Similar to a network firewall, the BlueSky GPS Firewall protects systems inside the firewall from untrusted sky-based signals outside the firewall. 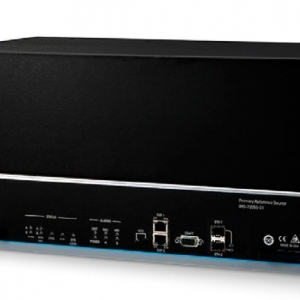 The TimeProvider® 4100 is a gateway clock, a new class of synchronization product that accepts multiple inputs from Global Navigation Satellite Systems (GNSS), Synchronous Ethernet (SynE), and 1588 PTP and E1/T1 digital transmission links, and distributes timing flows to multiple end points such as base stations. A gateway clock benefits from multiple layers of protection leveraging other assets in the core of the network. 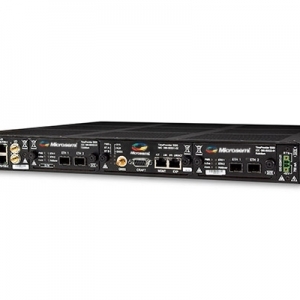 TimeProvider 4100 is a best-in-class 1588 grandmaster complemented by extensive port fan-out for PTP, Network Time protocol (NTP), SyncE, and legacy building integrated timing supplies (BITS). With multiple ports for current, legacy, and future networks that can be connected to multiple base stations for 4G and 5G deployments, the device offers customers a cost-effective solution that can be easily adapted for a wide variety of use cases. The TimeProvider ® 5000 is a carrier grade IEEE 1588 Precision Time Protocol (PTP) Grandmaster with additional capabilities, including NTP and SyncE, that provide a flexible technology suite to match the synchronization needs of evolving networks. The TimeSource® 3050 with a high quality Oven Controlled Crystal Oscillator (OCXO) provides your network Stratum 1 performance when locked to GPS or up to 72 hours if GPS signals are interrupted. TimeSource 3050 consists of single unit modules that plug into a rack-mounted shelf and operates with an external high precision GPS timing antenna to meet GR-2830 and EN 300 462-6-1 requirements. 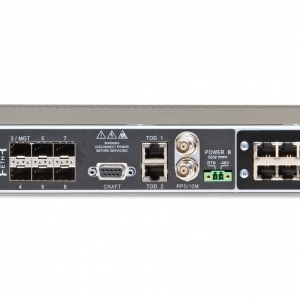 It comes with two output ports that are software configurable for T1, E1, 2.048 MHz or composite clock to support frequency timing applications; there is also a SW License option for 8 additional outputs.Two shelves are available: ANSI standard with rear connectors and ETSI standard with front facing connector access. The TimeSource 3050 modules may be used in previously supplied shelves of TimeSource 3000 and 3100 products. Microsemi’s TP2700 PTP IEEE-1588v2 Master Clocks are advanced IEEE 1588 Precision Time Protocol (PTP) products that are scaled and optimized for deployment at or near the mobile network edge-solutions that evolve the synchronization distribution architecture without retrofit of existing backhaul equipment or reengineering the network. 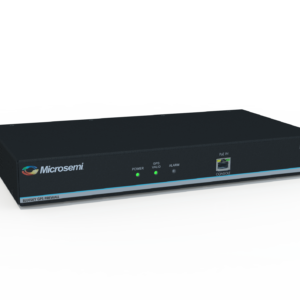 Microsemi’s TimeProvider ® 2700 Edge Grandmaster Clock are a new type of IEEE 1588 Precision Time Protocol (PTP) equipment designed for deployment in the mobile backhaul network, at macro base station sites, or small cell aggregation locations. These Edge Master Clocks are optimized to enable economic deployment of small cells and meet the stringent timing and synchronization requirements of 4G/LTE networks following the approach anticipated in the proposed ITU-T G.8275.2 standard for partial on-path support. The Time Provider 2300 Edge Boundary Clock designed to support small cells and meet the stringent timing requirements of 4G/LTE networks. Microsemi’s Edge Master Clocks are advanced IEEE 1588 Precision Time Protocol (PTP) products that are scaled and optimized for deployment at or near the mobile network edge-solutions that evolve the synchronization distribution architecture without retrofit of existing backhaul equipment or reengineering the network. TimeProvider ® 2300 Edge Boundary Clock are a new type of IEEE 1588 Precision Time Protocol (PTP) equipment designed for deployment in the mobile backhaul network, at macro base station sites, or small cell aggregation locations. These Edge Master Clocks are optimized to enable economic deployment of small cells and meet the stringent timing and synchronization requirements of 4G/LTE networks following the approach anticipated in the proposed ITU-T G.8275.2 standard for partial on-path support. Networks are faced with the proliferation of high-speed data, broadband multimedia, 2.5/3G wireless, and circuit-to-packet convergence. These forces are rapidly driving the need for reliable, high quality synchronization beyond the network core and into metro and access offices. However, the economics of synchronization and the functional requirements of access offices differ significantly from traditional core offices. TimeProvider® 1000 and TimeProvider 1100 meet these small office sync requirements. TimeProvider 1000 features a front facing connector panel, while connections to the TimeProvider 1100 are made on the rear of the unit. Only a high-performance node clock can adequately meet the critical sync requirements of your small office. These include a reduced number of outputs, a smaller footprint, and lower cost points–all with the stability and accuracy of a core office sync system.